From Narrandera we continued travelling east, going through Wagga Wagga without stopping – except at the traffic lights. From this point on we started climbing into the hilly country and eventually the mountains. The beautiful scenery is constantly changing and is a delight to travel through. 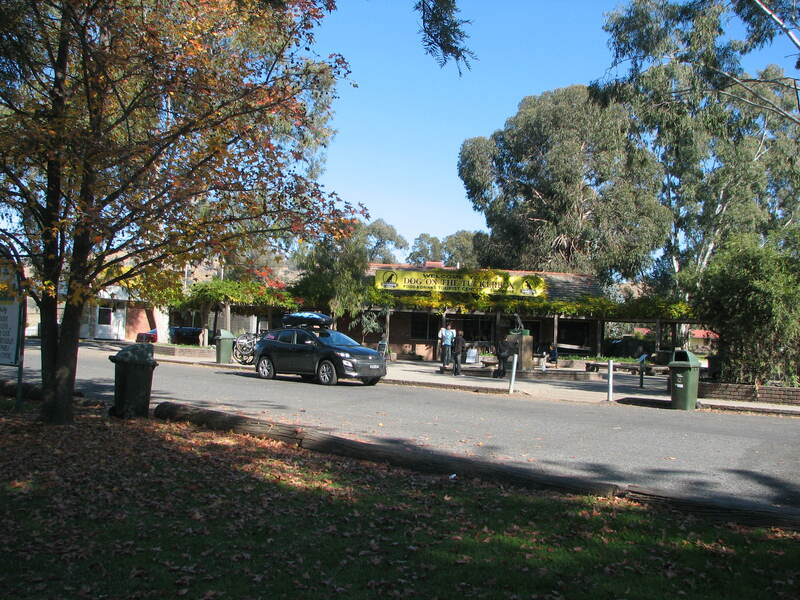 We succeeded in reaching our morning tea destination on time, stopping to refuel both the vehicle and us. 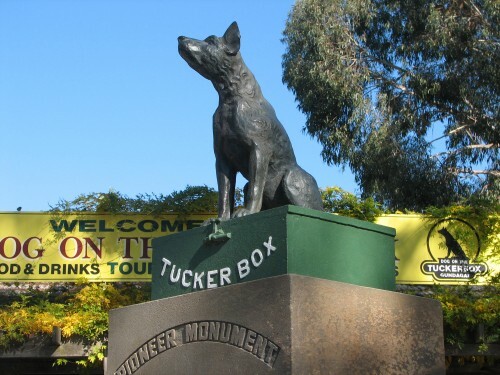 Our favourite stopping spot along this stretch of road is the Dog on the Tuckerbox complex a few miles out of Gundagai, a place made famous by the legend surrounding a dog. Another couple having a break struck up a conversation with us; they, too, came from South Australia. Another reason for stopping in this spot was to visit our favourite road side sales outlet. Farm fresh apples sold here are delicious, and we always stop here and buy a bag or two. Sadly, we can’t do the same on the return trip home due to our home state’s stringent laws about bringing fruit in. This is to protect our extensive fruit growing areas from the dreaded fruit fly pest. As an added bonus this time, we also bought some lovely cherries. While all this was happening I managed to get quite a respectable bird list.